2014 Lincoln MKZ Hybrid: We invite you to take a closer look at the 2014 Lincoln MKZ Hybrid. 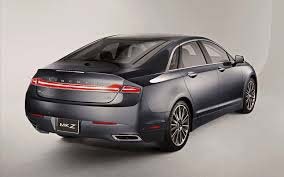 Where others charge a premium for hybrid technology, the 2014 MKZ Hybrid is competitively priced with its gas-powered sibling with the same level of standard features, like adaptive suspension employing an advanced suite of sensors that read and adjust to road conditions in milliseconds. Get to know the ¬ Lincoln MKZ Hybrid at Lincoln.com. 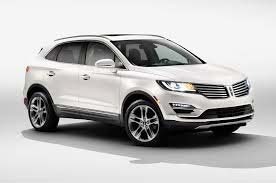 2014 Lincoln MKC: What if a car was ready for everything you are? The all-new MKC was designed from the ground up to be just that. Engineered to negotiate both the groomed and not-so-groomed terrain without losing composure. Artfully designed for an athletic, streamlined beauty. Spacious enough to comfortably seat five and their belongings. Offered with a choice of turbocharged powertrains and intuitive driver-assist technologies. This is the entirely new 2015 MKC. Our first small luxury crossover.